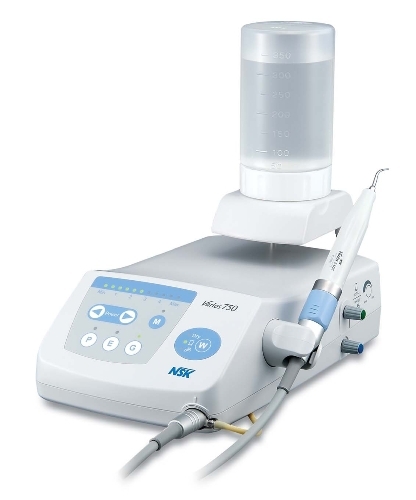 The Varios 750 multipurpose ultrasonic system is designed to support a wide spectrum of clinical applications; from minimal restorative intervention to perio and endodontics surgery. A special solution bottle and a water supply circuit in the control unit enable the usage of appropriate antiseptic solution in accordance with the purpose of the treatment. Click the button below to add the NSK Varios 750 Optic System Ultrasonic Scaler to your wish list.